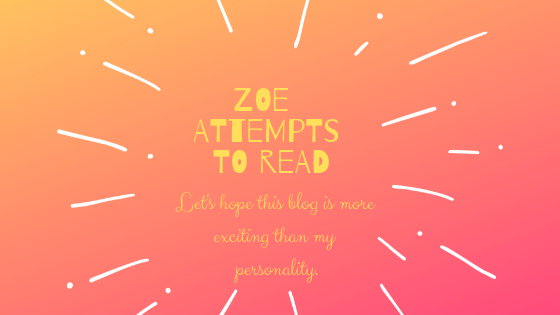 March 12, 2019 March 12, 2019 ~ zoe attempts to read !!! Hello ya’ll! I’m sure this is going to be really disappointing for you…but I’m back at it again! I took a relatively long brief blogging break to focus on some major life changes and work on my mental health, and by “blogging break”, I mean I completely vanished from the WordPress scene. Yup, I ghosted you guys. *finger guns* I’m moving past this stage and (unfortunately for you) am now concentrating my internet-ey efforts on my and others’ blogs! I apologise in advance for all of the crap you’re going have to endure now that I’ve resumed my haunting of this site. Also, happy 2019!!! This is my first post of the new year and I’m excited to hopefully make a bunch of new blogging memories. I know lot of people I follow posted 2018 reflections, but methinks I missed the peak of this trend so I won’t be posting mine. However, if you’re re/entering the book blogging scene, first of all, welcome/back (!!! ), and second of all, I’d be totally interested in reading your reflections! Other than peaceful contemplation, I completely ban discussion of 2018 as Supreme Ultimate 100% Awesome Ruler of the Universe. Case closed. Pretty much everyone I know despised last year, and I’m no different. It was a really hard year for seemingly all of us, but I’m glad that we got through it. Let’s survive and thrive in 2019 ya’ll! Today, I’m going to try something new and participate in Top Ten Three Tuesday! Top Ten Tuesday is a weekly blogging event hosted by the wonderful Jana at That Artsy Reader Girl. When I first saw people doing TTT posts, I was confused. For a couple of moments, I thought perhaps I had stumbled upon a cult. Do not fear, Top Ten Tuesday is not a cult (at least that’s what they’re telling me…). TTT is a fun way for bloggers to connect with others in the bookish community while posting about their top ten favourites! I read a lot of Top Ten Tuesday posts so I thought it would be cool to try it out for myself, but with less books, because I said so. My goal today is to find the richest characters possible and trade places with them. If we’re going to be switching spots, we’re also going to be getting that coin. In this house, we have PRIORITIES. Ok, we already I’m already failing my goal of choosing rich characters, but it’s fine! I guess I’m NOT living in a mansion and swimming in diamonds and going on holiday to the moon! 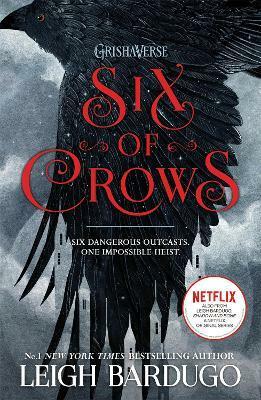 Honestly, if Inej and I switched places, I’d die within the first five pages of Six of Crows by bumping into a ruthless murderer or trying to steal from some powerful drug lord and then tripping over them and then getting murdered. All situations lead to murder! If I somehow survived, the Dregs would hate me. They would probably deploy me as a distraction and just leave me there with whatever criminals needed distracting to, once again, be murdered. The fans would hate me too! They would beg for me to be killed off. They would weep tears of joy when I pickpocketed the wrong person and died! Hercule Poirot is my hero. I would do anything for him. I would give him my right kidney. I would give him my dogs. Actually, that’s going a little far. 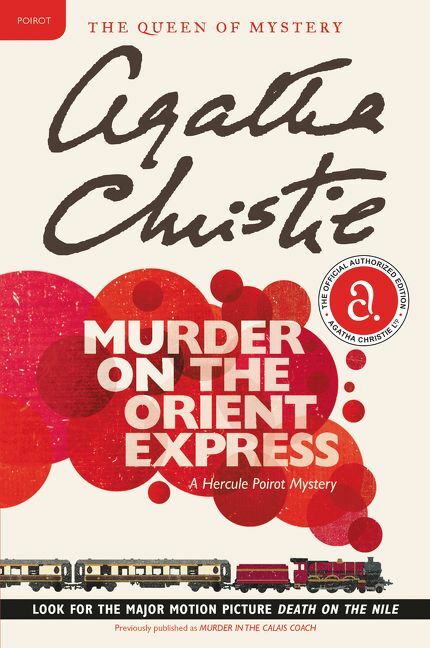 The poirot-point is, I am OBSESSED with Hercule. He is an icon. I went as him for Halloween 2018, and that night, I peaked. I will forever chase the high of putting on that gorgeous moustache and holding up that medical magnifying glass (I was having some TECHNICAL DIFFICULTIES with my other magnifying glass, alright). Also, my hat went missing, but it’s fine, WE’RE FINE. The awesome camera angle! The huge candy bag! The bottles of shampoo! I look upset but that’s because the moustache was hanging on by a thread and we weren’t about to risk it all for the sake of a smile. I will never beat that experience. Unless…I was permanently transported to the world of Poirot as Poirot. I’m sure you can see why I would make the switch. evil creepy demon men who have complete power over people’s enemies. 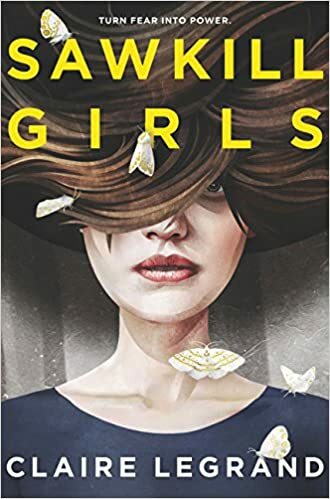 Maybe, my daughter might tell me on my deathbed about her story, but then I’ll die, and I won’t be haunted by the disturbing events of Sawkill Girls whilst still getting a glimpse of the magic! That’s a wrap on my Top Three Tuesday folks! I feel like my answers were…bad™ so I apologise for that!! Let me know down in the comments what you thought because the world knows I need constructive criticism lol! Thank you so much for reading! Have you picked up any of the books I mentioned? Is there anything going on in your life you want to chat about? Let me know down below! omg i know this is like a million years late but i wanted to hop on and say thank you so much!!! also omg me too with the favourite worlds!! grishaverse? dead. Percy Jackson? dead. harry potter? the girl who died.